With fall just barely begun, holiday shopping might still be the last thing on people’s minds. But if you’re a retailer, it should be the first thing on your mind, even this far ahead of Halloween. In fact, you should probably have started marketing for the holidays a month ago. But if you haven’t, don’t worry – here are four tips to help you have a successful holiday season this year. According to Google, this year 30% of consumers already know they will start holiday shopping before Halloween, in a trend towards earlier and earlier holiday shopping from year to year. Google suggests this may be caused by retailers who begin marketing early with promotions in order to lengthen the holiday shopping season as much as possible. 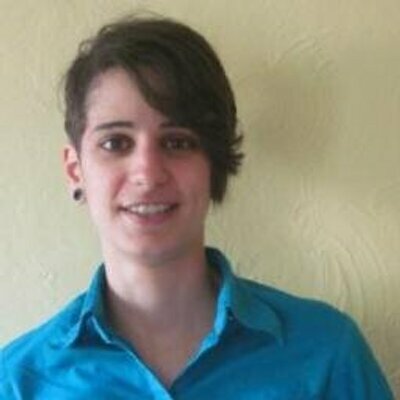 To support this, Google cites a National Retail Federation study that uncovered that last year 6 out of 10 retailers started their holiday marketing before Halloween. 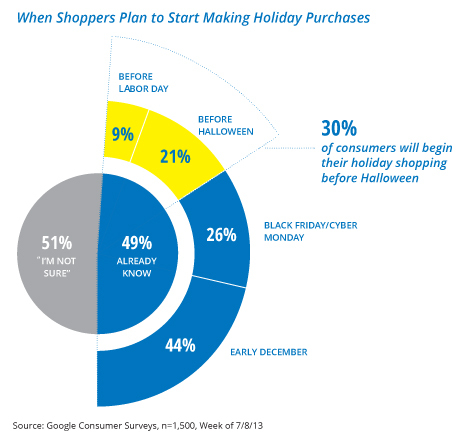 The graph above also shows that 51% of consumers are not sure when they will begin holiday shopping. Market early and sway them to start shopping with you right now. Given that the holidays are a season for giving, it is hardly any wonder that last year a quarter of people purchasing gifts got them from retailers they had never bought from previously. This is a great time to attract a new clientele with sales and promotions, especially since 40% of consumers are looking for the best price during the holiday season, rather than remaining loyal to a brand. If you play your cards well, however, you could turn your holidays’ first-time buyers into loyal customers. More than a third of respondents who participated in a joint 2012 Ipsos OTX/Google holiday shopping survey said they go online to figure out what to get someone, from where to get it and from which brand. more than half the time they will purchase from you again. So how do you do that? By following the rest of the tips in this guide. Google points out that almost half of consumers are planning on doing their holiday shopping online this year, and the younger demographics are planning on making more online than in-store purchases. According to comScore, Black Friday online sales hit more than $1 billion for the first time in 2012, a 26% increase from 2011, while in-store sales actually decreased almost 2%. Admittedly, Black Friday has traditionally been a much bigger phenomenon south of the border than in Canada. But last year, Canadian consumers flocked south during that weekend and Canadian retailers lost $5 billion in potential sales. Retailers like The Bay, The Gap and PetSmart are holding their own Black Friday sales. Be competitive and make the best of Black Friday this year (November 29) by having sales of your own and focusing on your online presence that weekend. Having an online store that allows for easy switching between devices would also help turn casual browsers into customers. The 2012 Ipsos OTX/Google holiday shopping survey found that 85% of online shoppers switch devices during their shopping research. Of these, 45% rely on saved bookmarks or shopping carts to resume shopping from the same point on another device, and 45% will send themselves an email or a link. Google notes that last year searches boomed for the term “free shipping.” Take advantage of this by offering free shipping deals on specific days or for orders over a certain amount. 79% of those who own smartphones are “smartphone shoppers,” meaning people who use a smartphone to assist with their shopping. 84% of smartphone shoppers use their phone to assist with their shopping while in store, and this is true for all shopping categories: appliances, groceries, baby care, electronics, household care, health and beauty, clothing, and pet care. Almost half use their smartphone for over 15 minutes per store visit. Those who use their mobile to help them shop buy up to 50% more. Overall, one in three shoppers will forego employee assistance in favour of relying on their smartphones to find the information they need. When buying appliances, 55% of smartphone shoppers will use their phone over an employee, and 48% will do the same when buying electronics. 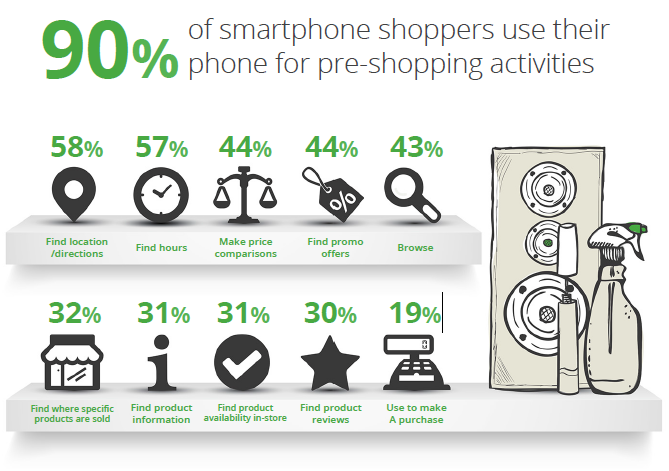 Saving time and saving money are the two main cited reasons for relying on smartphones when shopping. When researching products, 82% rely on a search engine, as opposed to 62% who go directly to the store website, 50% who go to the brand website, 21% who rely on store apps, and 20% who look at deal websites. How can you take advantage of these mobile trends? To enhance your customers’ shopping experience, you can make it easier for them to find product information from their phone while in-store, for example by including product information QR codes near products. Provide context-dependent information, depending on the shopper’s location or other data to give maximum relevance to the information your customers are accessing from their phones. Make sure you are able to track how many of your in-store, web and phone purchases occur as a result of a customer finding you through mobile. This holiday season, get a jump on the competition by targeting the growing number of early holiday shoppers, online shoppers and smartphone shoppers. Is your digital marketing strategy the best it can be to help you tackle this holiday season?